As a suburbanite homeowner, nothing brings me more joy than having a nice yard. Yeah, it can be hard work to mow the lawn, rake leaves, and pull weeds, but it is totally worth it. Earlier this year, I even installed the Rachio 3 Smart Sprinkler Controller to more intelligently water my grass, and I came away very impressed. Not only does it keep my lawn looking good, but it saves me money too. How? It knows to skip watering based on the weather -- no more running sprinklers in the rain! Believe it or not, starting today, the Rachio 3 is getting even better. No, the company is not upgrading the hardware. Actually, it is improving thanks to all-new Apple HomeKit support! Yes, owners of iPhone, iPad, HomePod, or other Apple devices can now control Rachio 3 using either the HomeKit app or Siri. 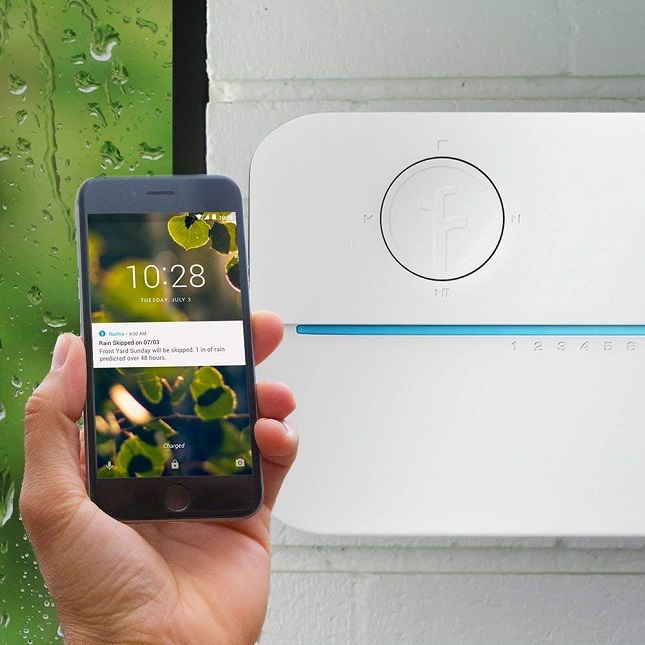 "Customers who purchase the recently launched Rachio 3 Smart Sprinkler Controller can now control it and all of their favorite smart home devices using the Apple Home app or by asking Siri. Exclusive to the expanded hardware capabilities of Rachio 3, Apple HomeKit integration also allows homeowners to control their sprinklers by talking to Siri on any iOS device, Apple TV, Apple Watch or HomePod -- even when they're away from home," says Rachio. Chris Klein, CEO and co-founder of Rachio explains, "We are excited to bring HomeKit support to Rachio customers. HomeKit users already have a smart home, and now they can have a smart yard, too. Rachio consumers have been asking for HomeKit integration, and we are excited to deliver it to them with our new Rachio 3 Smart Sprinkler Controller." Rachio shares the following benefits of this new HomeKit support. • Effortless Setup In only a matter of minutes, Rachio 3 is up and running in the Apple Home app. • Simple Control via App or Voice Rachio 3 can be controlled using the Apple Home app on iPhone or iPad, or using Siri on any iOS device, Apple TV, Apple Watch or HomePod. • Remote Access HomePod and Apple TV enable remote access to Rachio 3 at any time, anywhere. If you own a Rachio 3, you can link it to HomeKit today -- no waiting! Why you should use HomeKit rather than the Rachio app? Simplicity. You can link all of your HomeKit compatible smart home devices and control them using one centralized app.